The Viper SLX from Hauck offers you a stroller which is suitable from birth and has pin-point manoeuvrability thanks to its sporty 3 wheeled design. The front swivel wheel can be locked for straight line strolling and benefits from excellent suspension on the chassis to maintain a smooth and bump free ride for your little one. Also comfortable for Mum or Dad, the Viper SLX features a soft height adjustable handle and a effective handbrake to prevent the buggy from rolling away if you so happen to stop for a brake. For tired youngsters on the move, the Viper has a continuously adjustable backrest which reclines to a lying position and to increase comfort levels further, the footrest can be adjusted to facilitate a little nap. 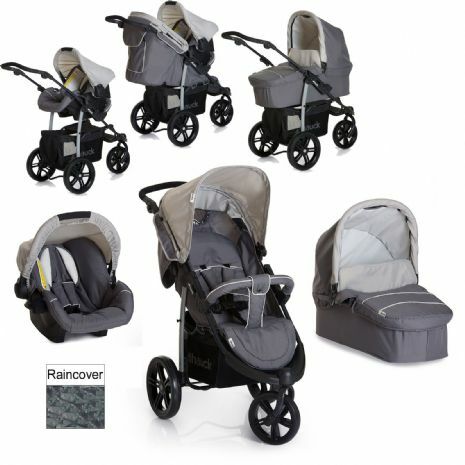 The large hood can be extended and pulled forward over your child to protect against strong sunlight or drizzle and a raincover is included for heavier downpours. The parent window in the hood allows you to keep an eye on your little one whereas the 5 point safety harness keeps your child safe and secure. Remove the padded seat unit, and by using Hauck’s ‘Easy-Fix’ system, the carrycot can be quickly mounted onto the chassis transforming the Viper SLX into cosy pram where you child will feel safe and secure. 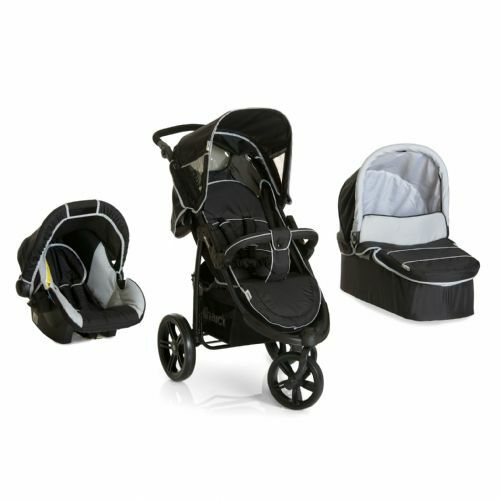 The 0+ car seat can also be mounted in the same fashion, ideal for shopping trips as there is no need to wake baby up when transferring them from car to pushchair (or vice versa). The car seat's innovative, side-impact protection system, with patented use of shock-absorbing, PU foam and padded, 3-point safety harness guarantees optimum safety on every car journey, giving you peace of mind that baby is kept secure and protected.